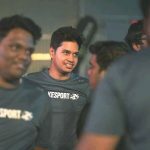 The upper-bracket finals between OpTic India and Entity Gaming were the last match of the day. 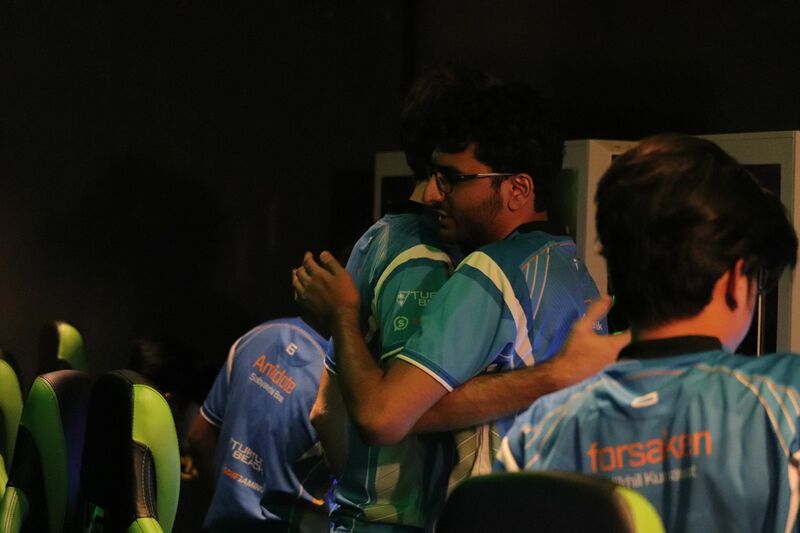 There’s neck to neck competition between these two for the top spot in the Indian Counter-Strike circuit. OpTic decided to pick inferno; banned mirage and cache. Their counterparts Entity Gaming, chose to play Overpass; banning nuke and train. Dust II went to become the decider of this best-of-three clash. OpTic was forced to start on the terrorist side. Entity had an aggressive stance in the apartments and took off with two quick kills but the round boiled down to a 1vs1 between Antidote and Excali and the former came on top to secure the pistol round for the green wall. Entity gaming forced in the second round with four upgraded pistols and a scout but OpTic squad didn’t crumble against the pistols and bagged the second round. Entity stacked A-site in the third round but OpTic decided to rush the alternate site. First buy round commenced with a magnificent flick from HuNtr’s AWP to get an early advantage for his side but OpTic completely surrounded the A-site and Entity’s defense was destroyed. OpTic seemed very strong and secured the fifth round with a quick apartment play; Entity is yet to grab a round. OpTic went for a quick banana take but HuNtr got a quick frag onto Haivaan, green wall wasted no time and rushed the A-site but Amaterasu held his ground and got a crucial double-kill to secure first round for his squad. OpTic didn’t slow down and this time, they rushed mid to get destroyed by HuNtr’s AWP as he grabs a quick 3k and Excali cleaning up the remaining two. Scoreboard looked inclined towards green wall 5-2. OpTic bagged the succeeding round but Deathmaker got an amazing 3k with the UMP-45 and destroyed OpTic’s economy. The scoreline looked 4-6 favoring OpTic but Entity was quickly climbing up the ladder. Entity won a couple of rounds to tie the scoreline at 6-6. OpTic grabbed the succeeding round. The fourteenth round saw Deathmaker taking an incredible quad-kill to demolish a quick apartment play. OpTic India got a slight edge over Entity Gaming; first half ended 8-7. Marzil’s outstanding performance helped OpTic win the game. Entity had a quick arch rush in the pistol round to tie the scores at 8-8. The seventeenth and eighteenth round did look a little shaky in the beginning although Entity came on the top to take lead for the first time. OpTic tried a weird apartment boost and Deathmaker took an incredible 3k at mid to clear the A-site. Entity got overwhelmed by upgraded pistols in the twentieth round. Since then, all the rounds were grabbed by the boys in blue. OpTic’s pick, Inferno ended 16-9 in Entity’s camp. Second map was overpass. In the pistol round, Entity went for a quick toilet control on the T-side, antidote stepped up with an insane triple kill followed by a couple of kills from forsaken to shut down the round. Following two rounds against upgraded pistols seem a little chaotic but OpTic managed to go 3-0. Entity got an early 4vs3 advantage in the first gun round; Entity headed towards the B-site and got the bomb down but OpTic successfully retook the bomb site with yb’s ninja defuse. Marzil channeled out his inner Fer and got an amazing 4k in the playground to get to 5-0, flawlessly. Seventh round finally went in Entity’s camp with their in-game-leader taking 3k in the playground, pushing the unnecessary aggression. Follow up round went down to a 1vs1 scenario although HellRangeR clutched it for his side. 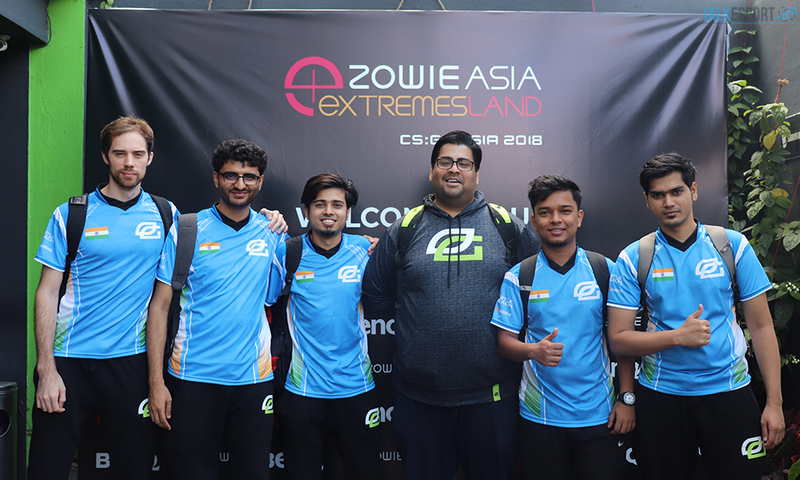 Both the teams traded few close rounds but the first half ended 9-6 inclined towards OpTic India. Second half began with Entity taking aggressive stance at A-long and they also got a couple of kills in the beginning. Unfortunately, they couldn’t close it down and Antidote got an essential 3k. OpTic secured the succeeding two rounds against upgraded pistols and the scoreboard appeared 12-7, with boys in green taking the lead. Dust II was the decider; Entity won the knife round and chose to play on the CT-side, although Excali made a commendable effort. HuNtr got three kills in mid to grab the pistol round. Entity went 4-0 grabbing two rounds against pistols and the first gun round. OpTic got the first round on the board in a 2vs5 scenario with Marzil getting a quad-kill. OpTic got into their momentum getting the second round on the board with a quick B-site rush. OpTic won the following two rounds and the scoreline tied at 4-4. Green wall takes the lead for the first time with a perfect A-site split which eventually broke Entity’s economy. Entity finally managed to get a round on board after losing six consecutive rounds. Entity lost yet another round as Marzil gets two quick kills coming from A-long. Thirteenth round saw Entity getting two quick kills but unfortunately, the boys in blue couldn’t retake A-site as Antidote held his ground and got a massive triple kill. Entity salvaged the last round of the first half making it a 9-6 scoreline favoring OpTic. Entity got shut down on the A-long with three nasty taps from Forsaken and OpTic won the first pistol round. OpTic won the following rounds against upgraded pistols but Marzil did get stabbed in the back. Marzil went into godlike mode getting multiple kills in the succeeding rounds. The match was titled 14-6 favoring OpTic but Entity did pull off twenty-first round with quick entries from Deathmaker. OpTic took the third map 16-8. Previous articleEntity defeats Brutality to meet OpTic in upper-bracket finals.